1) User-friendly operation system, this system integrates the on and off button, alarm device, touch screen and computer control which make the display effect more specific and has a supporter which can revolve freely and make it easy to operate. One person is enough to independently operate the machine. 2) Media thickness auto-measure system can automatically measure the height between the print head and printing media so as to get the best printing height and make every drop of ink reach to its right position. This also can avoid the equipment damage caused by errors of manual adjustment. 3) Imported servo motors is durable and environmentally and with Synchronous belt can ensure precise mechanical transmission. 4) Surrounded printing startup mode allows people to turn on the printing mode either in front of the machine or behind the machine so as to save time and improve the productivity. 5) Fully sealed wetting system adopts top sealing ring which is made of high-elastic polymer rubber and has suitable softness and fit well with the surface of print head. This system can ensure the moisture of the nozzles and avoid the clog of nozzles so as to extend the life span of print head. 6) T-shirt adjustable placement and fix system, adopts advanced gas spring which is flexible, highly controllable and easy to operate. 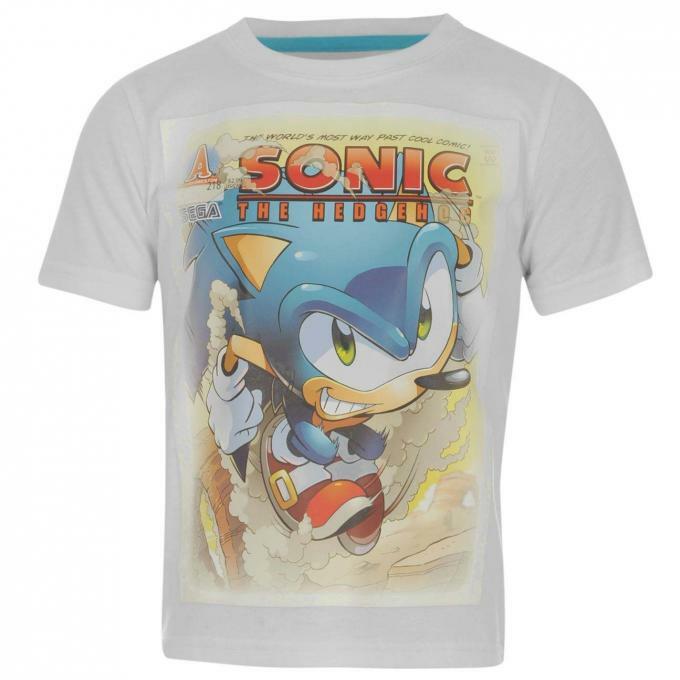 It can also fix the T-shirts very well with no wrinkles so as to improve the printing precision. 7) Fully automatic cleaning system, adopts rotary wiper blade and can automatically clean the print head very well. It is easy to operate and can protect the print head from being scratched. 8) PLC control system adopts the leading brand in China and is with high performance, stability, reliability and strong anti-interference ability. 9) ULTRA PRINT Pprofessional RIP software, the famous brand in China, with professional color management system and vivid color output. 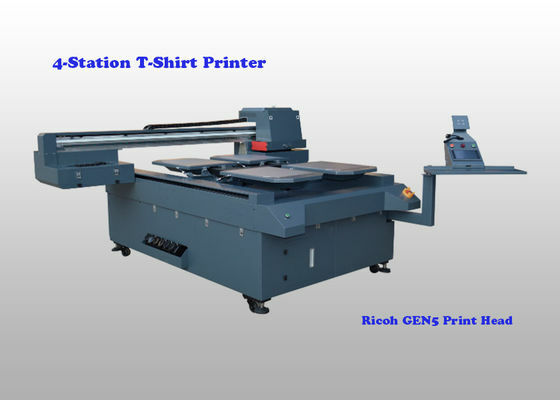 10) Ricoh Gen5 print head, with all-steel structure, is consisted of independent plate, connecting cables and core head. Its printing width is up to 54mm. With strong corrosion resistance, it can soak in the ink. What’s more, it can work 24h per day. The life span is up to 5 years, threefold of the same type print head, if it works 10h per day. 11) The linear guide rail is imported famous brand, with long life span and high stability which keeps the noise caused during the operation within 40 DB. 12) With anti-collision system for print head, the carriage will stop automatically when meeting obstacles so as to avoid damage of the carriage and print head and protect the operator. 13) X axis adopts the imported drug chain from Germany which can protect cables and tubes from too much wear and tear and decrease noise under high speed motion. 14) Using High performance lead screw with high speed and precision(0.002MM), low noise, wear proof and precise positioning. 15) Self-developed and cold-drawn aluminum gantry with high strength, the gantry is made of international aerospace series aluminum with high strength and is processed by imported CNC equipment, which can ensure stability and the printing precision 25% higher than average level in the industry. 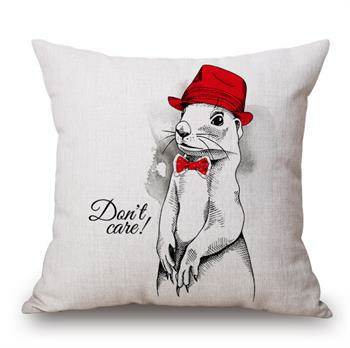 cotton fabric cloth, Pillow case,cushion and so on. 1) Using professional color management UltraPrint, ensuring customer satisfaction. 2) Grey-scale print head supporting 4 degrees’ Grey-scale printing. 4) Adopting high quality spare parts with advanced performances, high stability and strong anti-interference ability. 5) User-friendly design with surrounded printing startup mode , easy to operate independently by even one person.